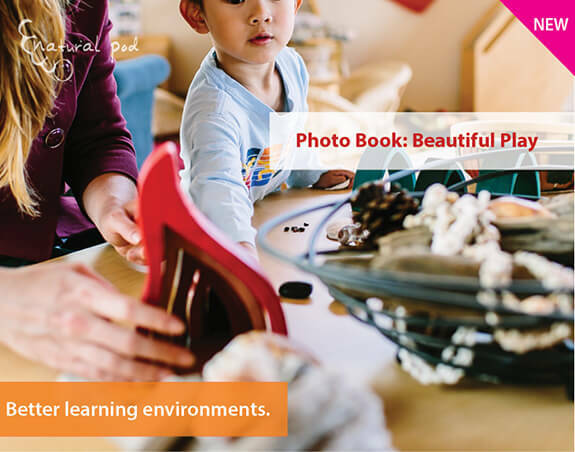 We recently invited our natural play community to share photos of their inspirations for play. The response was incredible. What they shared back were an amazing collection of simple experiences and moments created to invite children to engage in exploration, discovery and learning through play. These images beautifully captured the passion our educators have for their work and their deep understanding of how supporting children in play is the very foundation for developing creativity, wonder and joy. In celebration, we turned all these images into a beautiful photo book that is free for you to download and enjoy!